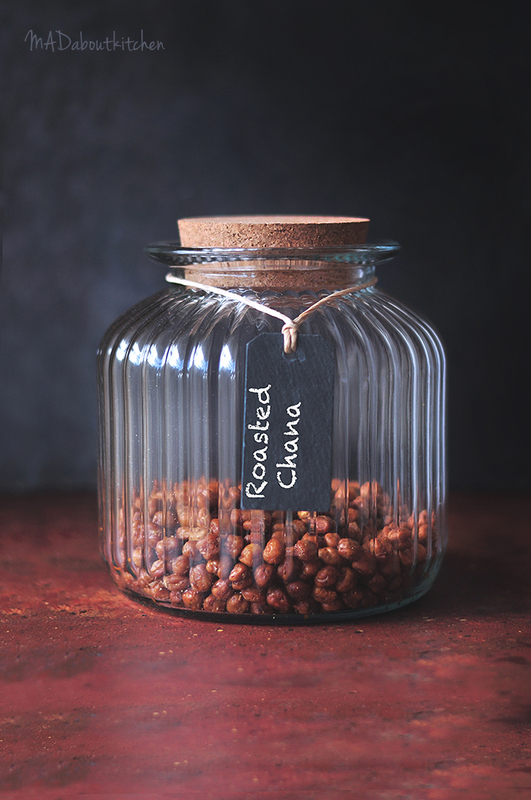 Roasted Chana is a healthy tea time snack that is very simple to make. 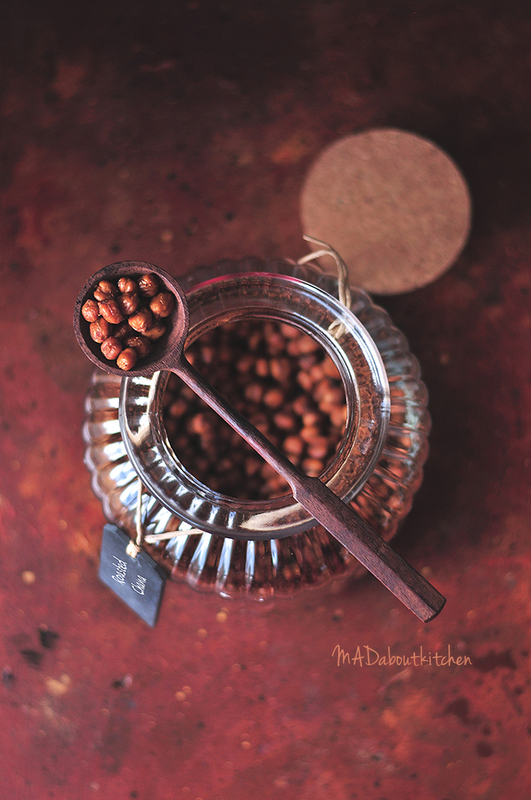 These crispy crunchy chickpeas can not only serve as munchies but can also be tossed into to a lip smacking chat. 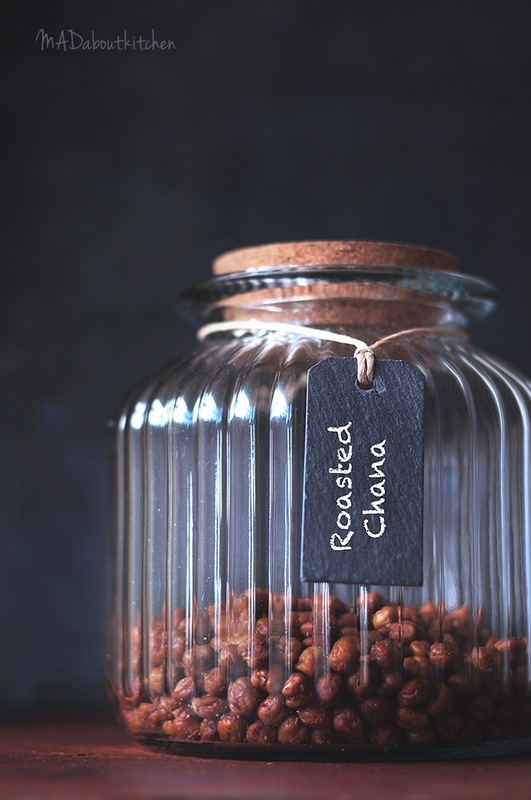 It is so simple to make and you can flavour it with any spice of your choice . Cumin, Coriander, chilly, garam masala or just some salt. Boil the chickpeas till it is soft and cooked well. A way bit more, yet holding the shape. The peel should be just coming off. Drain the water and spread it on a kitchen towel to air dry completely. Completely. In the square pan add chickpeas, salt and half the oil and give it a good mix. Bake it for 20 to 25 minutes, till they are crisp. Add cumin powder, garam masala powder and red chilly powder to the remaining oil and pour it over the chickpeas. Give it a good mix. Bake for another 10 minutes. The chickpeas have to be crisp till the center. Check once or twice in between to make sure you do not over bake it. Over baking will make it hard. 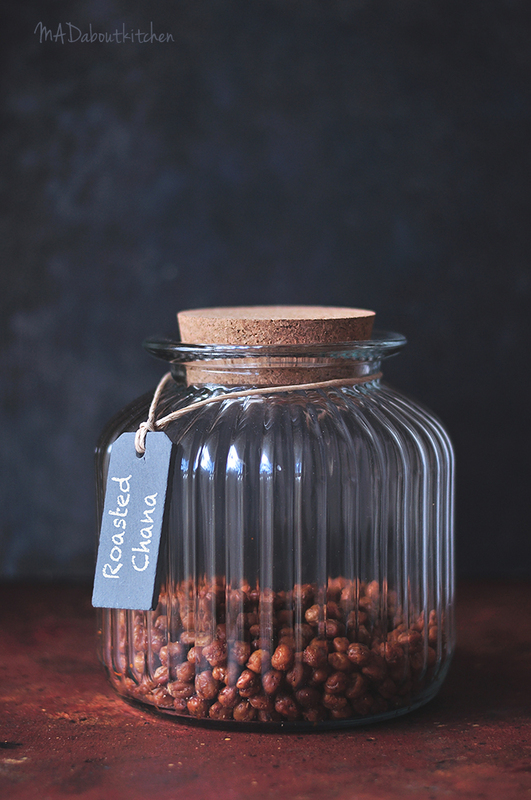 Once cooled store it in an airtight jar. Add roughly chopped onions, green chillies, coriander leaves into the chopper jar. Blitz it on speed no 1 to chop it finely. It will just take seconds. 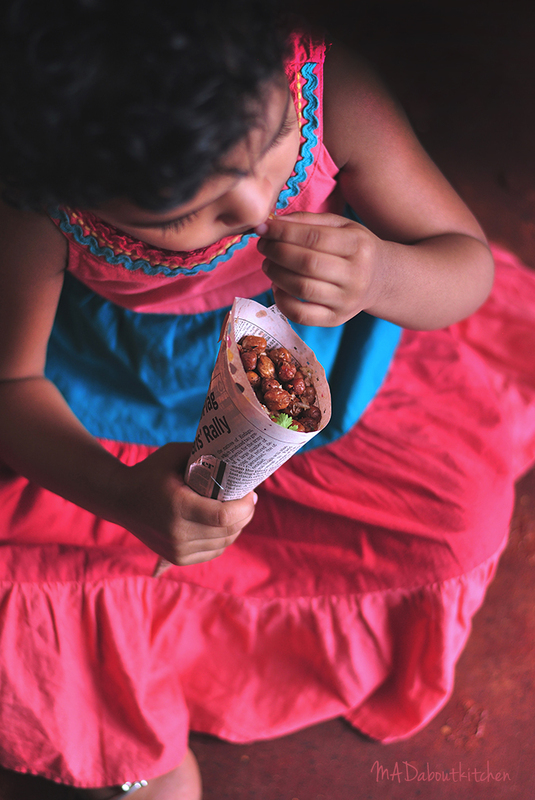 Toss, roasted chana, finely chopped onion mixture, tamarind paste together well. Serve it with a generous squeeze of lemon juice.